This very well presented 3 bedroom house has been extremely well modernised by the current owner and benefits from a downstairs cloakroom, good size superbly fitted kitchen and a lounge/dining room with French doors onto the rear garden. 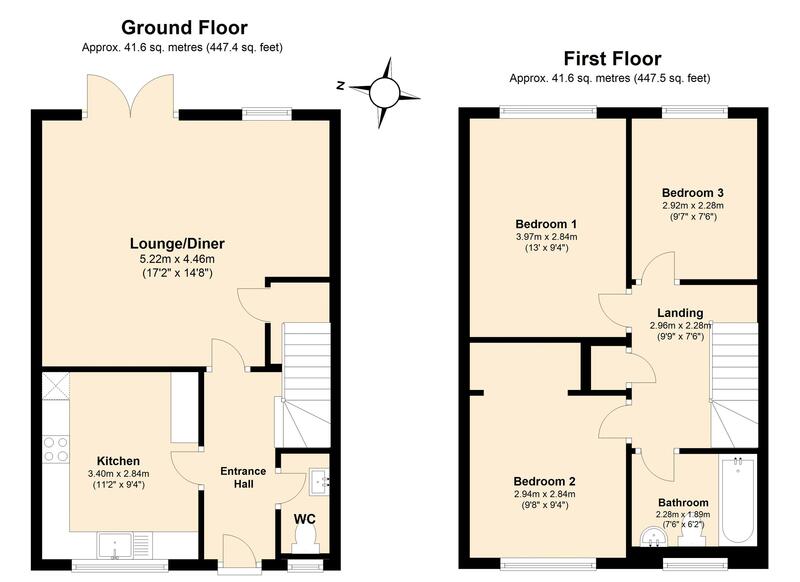 Upstairs, off the landing, are 3 good bedrooms and a lovely re-fitted white bathroom suite with wall mounted shower with rain water shower-head. There is a gas central heating system to radiators with nearly new boiler, double glazed windows and a garage behind the garden. The property is currently let out to a family until August 2019 and could suit another family or a 'buy to let' investor. EPC Rating: D.